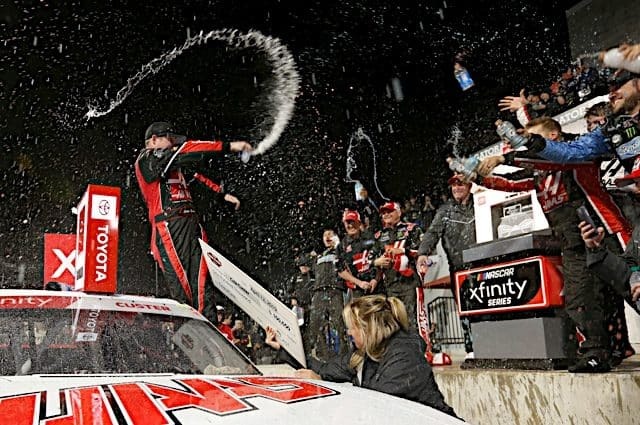 XFINITY: Harvick continues Atlanta Dominance; Young Guns Shine – Three straight wins seems rather wild, but Kevin Harvick has been on an unbelievable tear over the past two and a half years. 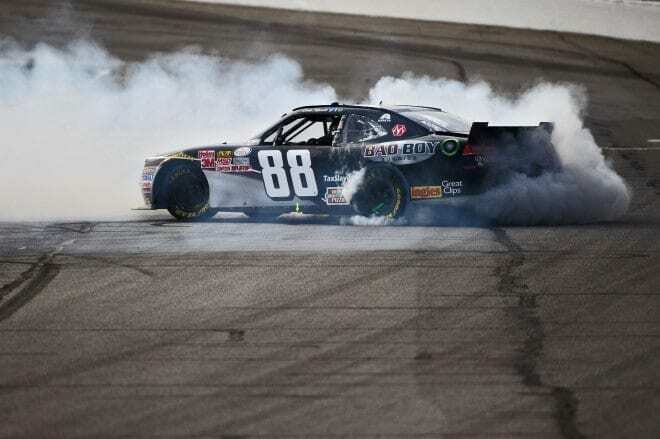 Harvick won his third straight race at Atlanta, and did so in dominating fashion once again. 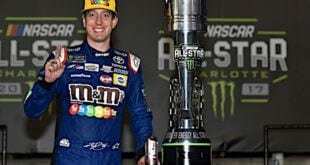 Though Joey Logano seemingly had the strongest car throughout the weekend, the reigning Sprint Cup Series champion was able to run well during the long green flag runs, which was the difference maker. 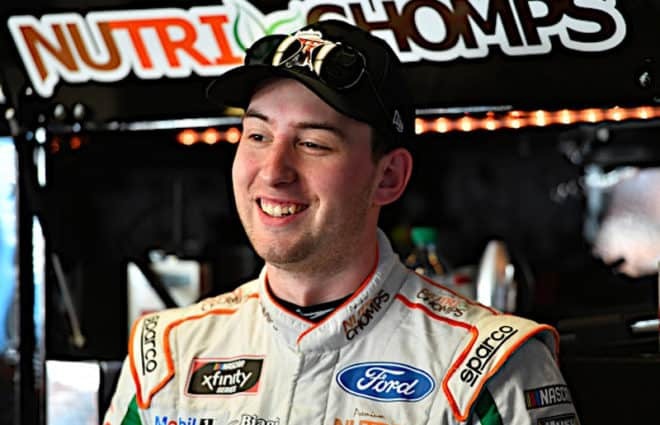 Elenz, which provided JR Motorsports a sense of relief as he showed how effective he could be right away. carrying over to this season. 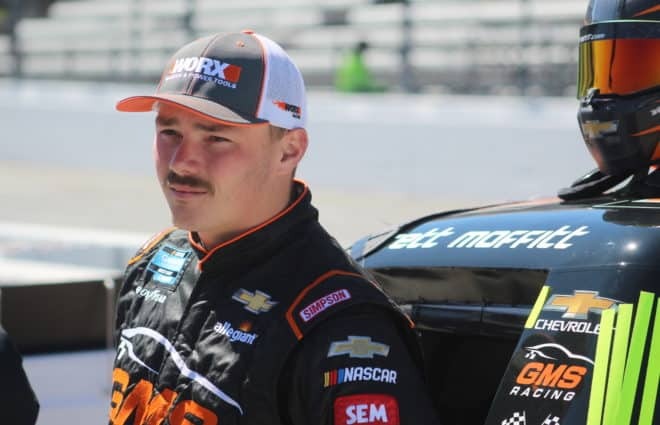 Camping World Truck Series: Matt Crafton Makes Championship Statement – In the Truck Series’ return to Atlanta Motor Speedway after a two-year hiatus, Matt Crafton struggled a bit in qualifying and started 15th, but he wasted little time making a statement. Less than 50 laps into the race, Crafton assumed the top spot and only relinquished it through a round of green flag pit stops. 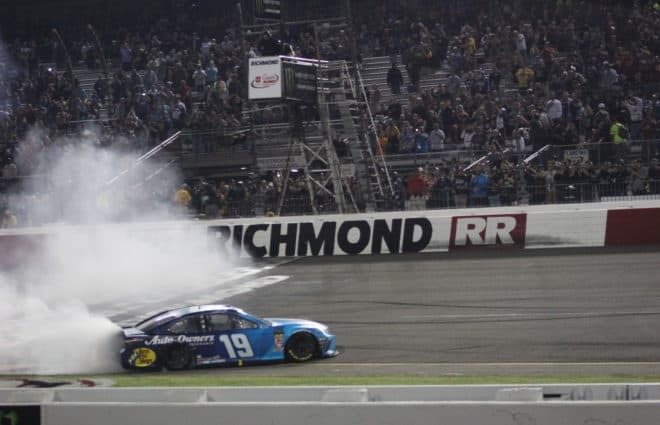 He led a race-high 85 laps en route to a dominant victory. Formula 1: Mercedes Shows Their Strength – After spending the first two test sessions testing their reliability, Mercedes showed that they are still the team to beat by pacing the field during the last test session in Barcelona. This showing isn’t quite a surprise as both teams and followers had believed that the silver arrow hadn’t showed their true pace yet. The frustration lies with the fact that Mercedes may once again be set to be the frontrunners is a bit disappointing for the hopes of any varied competition. Short Tracks: The Inaugural Winter Showdown at Kern County Raceway Park in Bakersfield, California pitted the best Late Model drivers in the West with a handful invaders. 2014 Southern Super Series champion Bubba Pollard and second and third place finishers in the 2014 Snowball Derby Dalton Sargeant and Derek Thorn had proven themselves to be the class of the field going into the 250 lap and $25,000 to win feature, which was rescheduled to Sunday afternoon due to persistent rain the night before. NHRA: Think You’ve Got What It Takes to Ride a Pro Stock Motorcycle? – If so, then head to Auto-Plus Raceway in Gainesville April 13-21. Star Racing will be holding a 30 Rider Challenge that holds the ultimate prize for the winner of riding with the team at one NHRA event this season. The challenge is being held as part of Star Racing’s 35th Anniversary Season of Celebration. Riders will be judged on their riding skills like bike control and natural talent but will also be judged on the off track part of the package like public speaking and the depth of their passion to pursue their dreams. Judging duties will be handled by Bryce, three-time Pro Stock motorcycle champion Angelle Sampey, and motorsports marketing expert Rolfe Schnur. The winner will win a prize package worth over $25,000 that includes their own Star Racing leathers, a $2500 marketing package, hero cards for the event, press releases, coaching by Bryce and Sampey, and professional photos, but perhaps the most important thing is the chance to be a teammate to Sampey and Chaz Kennedy at the 2015 Summit Racing Equipment NHRA Southern Nationals at Atlanta Dragway May 15-17. Sports Cars: Trans-Am Begins Season with Record Grid – You might remember the SCCA Trans-Am Series as being a wildly popular series for pony cars that began in the mid-1960’s, peaking in popularity around 1970 with all the big names of the time (Mark Donohue, George Follmer, Parnelli Jones, Swede Savage, etc.). Eventually, the series evolved into the place to see some of the best road racers in North America have at it in tube framed cars in 100 mile sprint races, usually on the undercard of CART or IMSA events. The 1980’s saw a number of different types of cars battling it out such as Chevrolet Corvettes and Camaros, Ford Mustangs (and its twin, the Mercury Capri), the Merkur XR4ti, and some interesting oddities, such as the Buick Somerset, a lone Buick Century and the all-dominant Audi 200’s of 1988. Engines varied as well with teams racing V8’s, V6’s, turbocharged V6’s, turbocharged four-cylinders, and even inline-5’s. By the 1990’s, the series was mostly tube-framed versions of American cars with V8’s (Camaros, Mustangs, the Oldsmobile Cutlass and Dodge Daytona, along with the Chevrolet Beretta). 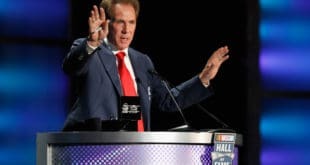 Drivers that NASCAR fans would recognize such as Ron Fellows, Tommy Kendall, Dorsey Schroeder, Wally Dallenbach, Jr., and even current FOX pit reporter Chris Neville raced full-time in the series. The 2000’s were not kind to Trans-Am as costs rose out of control and the series lacked a clear direction. After 2005, the series was effectively shuttered before being relaunched using SCCA GT-1 rules in 2009. Today, the series exists as a three-class series that shares race weekends with vintage series. 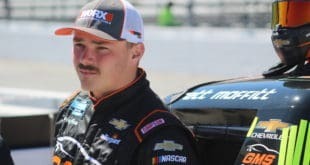 The exceptions to that rule are the two races (Mid-Ohio and Road America) in which the series serves as primary support to the XFINITY Series in August. These days, Trans-Am is likely the strongest that it’s been in a long time. Sunday saw the series hold their first race of the 2015 season, the Foametix 100, at Sebring International Raceway. An all-time record number of entries (73) came to Sebring to race, but only 67 took the start. Second generation driver Amy Ruman in her No. 23 Chevrolet Corvette led to the green and proceeded to fight off hard charges from Doug Peterson and Simon Gregg to win after leading flag-to-flag. 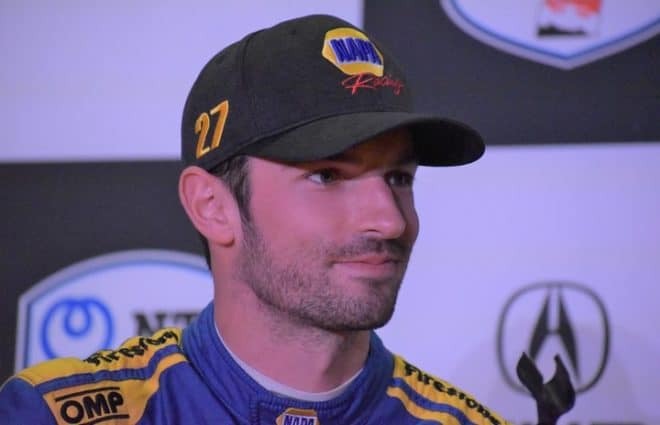 Cameron Lawrence won the TA2 class and finished tenth overall in a Dodge Challenger, while Lee Saunders won the production-based TA3 class in a Dodge Viper. Great start to the Trans AM series this weekend. A record car count for what is arguably the best road racing series in the country. BTW: Chrysler (or more properly FCA) is offering contingency money to Vipers that finish in the top 3 in TA3.